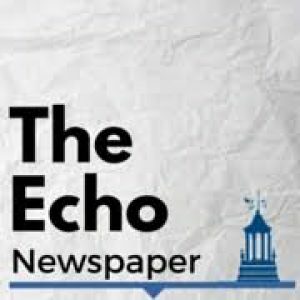 Clarence Pacete, a social work graduate, and founder of the Instagram account, Humans of WCSU, is passing on the legacy he started his junior year onto The Echo Newspaper- for which, we are extremely grateful. In meeting with me, Pacete revealed that he feels bittersweet about moving forward. Though he is excited to graduate, at the same time, he is reflectively melancholic that he will not be able to be surrounded with the physical presences of all of the people he has met through his Humans of WCSU page. The ultimate goal originally for Clarence, with Humans of WCSU, was to empower the college community and to show the diversity of the campuses through the stories that have been told so far. “I think the goal has been achieved and I am very happy that I can say that,” said Pacete, “my hope is to make a larger goal to provide a better perspective of Western through the eyes of the people here on campus.” Pacete’s passion with Humans of WCSU is derived from benefiting not only the campuses but the people who inhabit them. Thankfully (for our team here at The Echo), Pacete is confident in passing on the torch to The Echo Newspaper. He is optimistic by the Echo’s enthusiasm to continue Humans of WCSU as a team. “A team is a better option than an individual. Time is valuable as it is and after meeting with everyone, I have no doubt that the Echo would make a great team,” confided Pacete. We at the Echo are very thankful that Clarence is entrusting our team with the legacy he began here at WCSU and are very excited to see how far Humans of WCSU will go. *A NOTE FROM THE EDITOR: To truly show our thanks and appreciation to Clarence for allowing us the chance to continue his work, I have arranged for the ending of Briana’s sincere article to be a special surprise for Clarence. Not only that, but this article is being published on the day before graduation (and we at the Echo would like to congratulate the graduating seniors of 2017). To send off both Clarence and this article, we would like to share a warmhearted thank you and goodbye from Niko Frascone. Niko has helped our dear friend, Clarence, with his Humans of WCSU exploits, and will be helping to continue Clarence’s work by joining us at The Echo in our collaborative efforts with the Humans of WCSU account. However, before we give you Niko’s thanks to Clarence, we would like to thank Niko for joining us and being willing to keep the end of this article a surprise from his friend. Thank you, Niko. We look forward to working with you next semester. Through Humans of WCSU, I have learned a lot about myself and have grown as a person. This magnificent process would not have been possible were it not for this amazing club. Clarence Pacete built Humans of WCSU not only to emulate what Humans of New York accomplished but also to bring its purpose to our campus and create a sense of community. I believe the greatest difficulty surrounding college for most people is being able to branch out and have your voice be heard somehow, some way. Through all of the classes that we take through our college career, it is almost ironic that we still are unable to have our true voices be heard. To me, this was the goal of Humans of WCSU and Clarence nailed it on the head. With Clarence’s help and offer to continue supporting the growth of the Humans of WCSU movement, we both learned that regardless of what town someone is from, or what major they are studying under, at the end of the day, we all want someone to listen to what we have to say. Allowing anyone on campus to have a free-flowing forum to put their story out in the view of the public eye is an incredible feeling. This medium that we have created is something of another magnitude. I feel beyond fortunate to be a part of expanding our reach further across campus and to those who want to be heard. To those who have been featured on Humans of WCSU and to those who may wish to be featured in the future, the one piece of advice I can give is to not be afraid of making the leap towards sharing their story. The beauty of humanity is that of uniqueness. No two people are the same and Humans of WCSU encourages everyone and anyone to come to us with their stories and tales. We are the ears of the population of the college’s students and staff. This is neither a goodbye nor a farewell, but a great adieu to a long-lasting legacy that will continue to resonate through Western Connecticut State University. Clarence has been a great mentor to me, as well as a great role model to not only myself, but to those on campus that he has taken the time to speak with and listen to. I am happy to continue my friend’s legacy in bringing change to WCSU’s campuses, housing a close knit family that many student and staff have and can greatly benefit from, adding to the college experience and to their lives. Thank you, Clarence, for leaving a massive impact on not just me, but on all of us; we could not have come this far without you!